A unique opportunity presented itself this summer when the Montana Department of Transportation (MDT) asked for input on their Paradise Valley Corridor Planning Study on US 89 from Gardiner to Livingston. Montanans for Safe Wildlife Passage, which is a stakeholder in the project, is working with MDT to integrate wildlife and safety considerations into the study. Also, on April 5, 2013, Montanans for Safe Wildlife Passage submitted a comment letter on the Montana Department of Transportation 2013-2017 State Transportation Improvement Program, or STIP. Our comments integrated important wildlife movement areas with tentative construction projects (see below). Montanans for Safe Wildlife Passage formed in 2011 to bring individuals and conservation groups together to advocate for innovative solutions to improve and/or maintain habitat connectivity across Montana roads and provide safe passage for Montana’s people, fish, and wildlife. Its members include individuals who have been working on improving wildlife passage for wildlife and aquatic species for over 15 years, including research, monitoring, policy work, mapping, and on-the-ground projects. MSWP continues to grow into an effective community-based voice for safe passage of people and wildlife on Montana’s roadways. 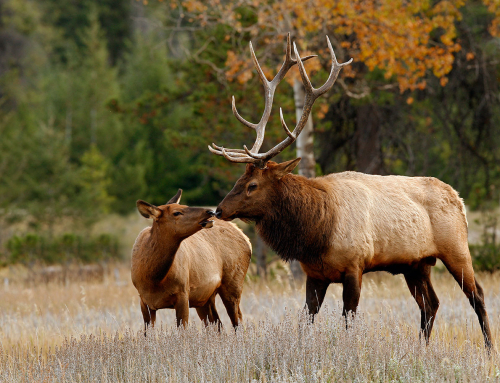 MSWP has been successful in gaining support around its founding priorities which include: 1) integrating wildlife considerations early in the planning process, and 2) increasing the amount of wildlife friendly fencing on Montana’s roads as one step towards improving connectivity. Center for Large Landscape Conservation, Yellowstone to Yukon Conservation Initiative, Defenders of Wildlife, Craighead Institute, People’s Way Partnership, Western Environmental Law Center, Citizens for a Better Flathead, and citizen volunteers.